Contractors are evaluating their strategies and streamlining processes to ultimately propel their businesses ahead of competitors, and Scope Technologies' platform of tools is the go-to. DENVER, Sept. 14, 2016 /PRNewswire/ -- Scope Technologies® today announced its debut of Work Order tool for ProDocs™ - an industry-leading software that makes generating estimates and producing material orders easier for the Contractor. Now contractors can transfer real-time aerial measurement report data into real-time work orders in a few clicks, all on the ProDocs platform. Designed to be paired with Scope Technologies' takeoff reports, the Work Order tool will shorten restoration and new construction contractors project timeline. As with Estimates, Work Order introduces an unparalleled level of customization including line items based on materials, conversions and manufacturers. Easy to build templates that can be tailored to feature company logo and color schematics are also a highlight. Additionally, Work Order seamlessly communicates with contractors' distribution channels and talks with retailers for added convenience, ultimately saving the contractor compounded time. "Contractors have been searching for a cost-effective, time-saving, and above all, easy to use work management platform, and Scope Technologies has responded with Work Order," says Jerod Raisch, CEO of Scope Technologies. "It's versatile in that contractors can make changes instantaneously, and from anywhere, which is not the case with most competitor's platforms." With construction starts up 15% in 2015 and projected to increase another 6% in 2016, it's no surprise industry-wide trends indicate contractors are evaluating their strategies and streamlining processes to ultimately propel their businesses ahead of competitors. "Simply put, for [Engineering and Construction] companies, the trick is not to delay the adoption of new technologies, but rather to figure out how to use these tools to differentiate themselves from the competition." PWC Strategy&. (2016, March 14). 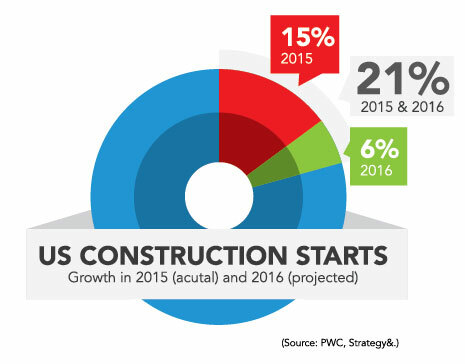 2016 Engineering and Construction Industry Trends [Report]. "We are continually aiming to streamline the measuring and estimating process, and today we have redefined its efficiency," says Jerod Raisch, CEO of Scope Technologies. "Our platform is a powerhouse of an estimating work management tool, and the best is yet to come. As we are endlessly enhancing our user experience, the addition of the Work Order tool has positioned our clients to have an entire new channel experience."